This 54″ by 42″ Sunoco sign has a arrow pointing down. I cannot specify which direction it is pointing since this is a double sided porcelain neon sign. 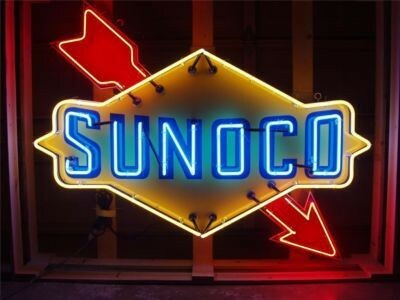 The text reads “Sunoco” and the neons are yellow, red, and blue.